Tenaska’s combined-cycle power plant will be able to produce 925MW of electricity. Image: courtesy of Tenaska, Inc.
Mitsubishi Hitachi Power Systems is supplying two M501J gas turbines for the power station. Image: courtesy of Business Wire. Construction of the Tenaska power plant commenced in August 2016. Image: courtesy of Tenaska, Inc.
Tenaska Westmoreland generating station is a 925MW combined-cycle electric power plant being developed in Westmoreland County, Pennsylvania, US. The plant will be owned and operated by Tenaska Pennsylvania Partners, which includes the affiliates of Tenaska and Mitsubishi Corporation’s subsidiary, Diamond Generating Corporation. Construction of the project was initiated in August 2016 and is expected to be completed in late-2018. Once completed, the facility will produce sufficient energy to power approximately 925,000 homes in Pennsylvania and 12 other north-eastern states in the US. The plant will generate clean energy using locally produced natural gas. The generated power will offset the impact of lost power generation from a number of coal-fuelled plants in the region, which have been either closed or are about to close. The combined-cycle power plant is being constructed on a site located south of the Interstate-70 highway in South Huntingdon Township, Westmoreland County. The location was chosen due to its proximity to the Marcellus and Utica gas shale fields, easy access to existing natural gas pipelines and transmission lines and also due to the availability of sufficient water resources. Fuel to the plant will be supplied from existing gas fields, minimising the need for new infrastructure. The power plant will be spread across a 50-acre area with a separate building to house the power generating equipment. It will be installed with two 327MW J-series natural gas turbines supplied by Mitsubishi. The M501J gas turbines have a combined-cycle efficiency of 62% and reliability of 99%, and use the latest emission control technology to generate electricity that meets all environmental standards and permits set by the local and federal laws. Additional infrastructure at the facility will include a 500kV switchyard, and a switching station and generators. New power transmission lines 1.5mi (2.41km) in length will also be installed to connect the plant to the electric grid. Natural gas will be supplied through an existing natural gas pipeline to two new short delivery pipelines, which will further transfer the gas from the pipeline to the plant. Natural gas will be fired to drive the gas turbine-generators, while the exhaust heat will be captured by a heat recovery steam generator, which will use the heat to generate steam. High-pressure steam from the steam generator will drive a steam turbine-generator to produce more electricity, making the plant fuel-efficient. Further, the plant will recycle water several times through the turbine cooling process in order to improve the efficiency of water use during power generation. Water from the steam turbine-generator and the heat recovery steam generator will be sent to a condenser and a cooling tower for recycling. Water required for the plant’s operation will be supplied from the municipal water treatment plant with the consent of Municipal Authority of Westmoreland County. Electricity produced by the Tenaska Westmoreland generating station will be purchased by PJM Interconnection, which is a regional transmission organisation that oversees the power movement in all or parts of all the regional states in north-east US. A short transmission line will connect the plant with PJM’s transmission network. "Fuel to the plant will be supplied from existing gas fields, minimising the need for new infrastructure." The engineering, procurement and construction (EPC) contract for the Tenaska Westmoreland generating station was awarded to Black & Veatch. 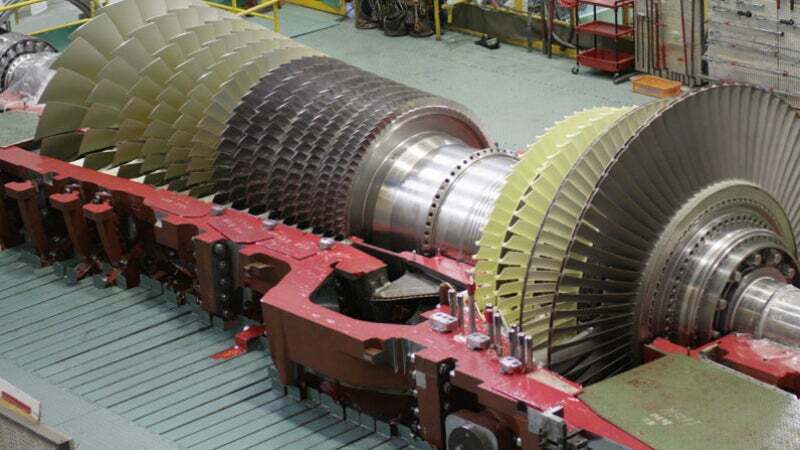 Mitsubishi Hitachi Power Systems is responsible for the supply and long-term service of the gas turbines. Tenaska closed a $780m commercial financing for the project in April 2016. The financing was led by MUFG Union Bank, Citigroup Global Markets, BNP Paribas, and Industrial and Commercial Bank of China. Besides addressing the growing demand for electricity in the region, the plant will also boost the local economy by creating more than 300 construction jobs and 25 full-time jobs, when it commences operations. More than $500m will be spent during the construction of the project benefiting the local contractors and vendors. The overall economic impact of the power project is estimated to be $3.5bn.